According to Firefox, Wells Fargo is not a legitimate bank. I encounter security certificate errors about one out of every five visits to Wells Fargo's online banking web site. 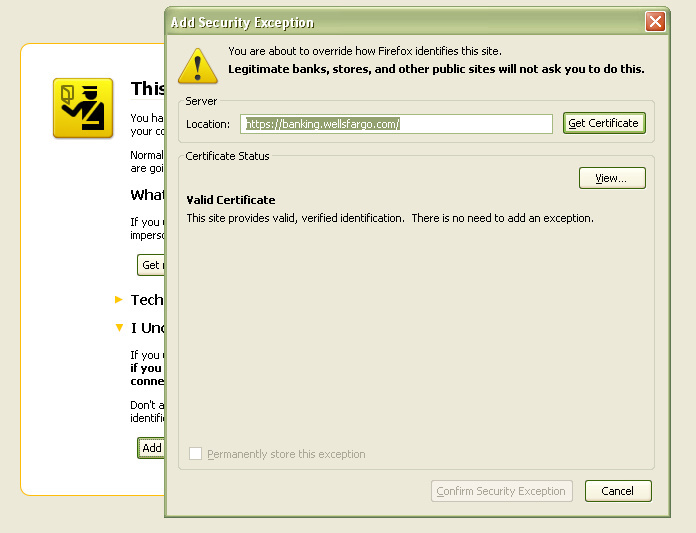 And why does Firefox first tell me the certificate is not valid but then report "This site provides valid, verified identification. There is no need to add an exception." when I try to add an exception? Perhaps Wells Fargo should send the Firefox people at Mozilla some t-shirts too.